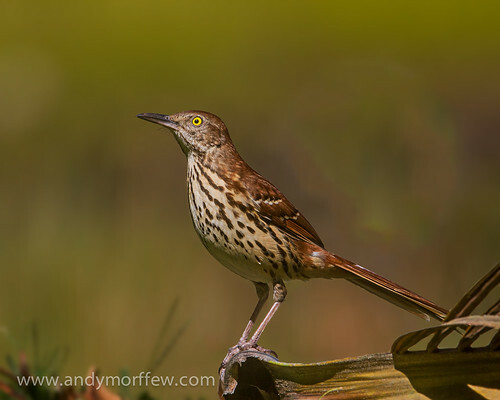 Easy to distinguish from the Long-billed Thrasher by its bill but also because their ranges barely overlap. Taken outside my back door in Naples, Florida! Yesterday's shot of a Long-billed Thrasher is in the first comment. I would like to thank you for visiting. Please know that I always appreciate your views, favs, invites and comments. My images are available free for any use but must be attributed and not made part of another image without permission.